Artist Eric N. Mack to have first solo museum show in New York City. In January, Eric N. Mack, a textile artist and painter, will have his first solo museum show in New York City at the Brooklyn Museum, where his site-responsive installations will be hung, mounted, and draped around the historic great hall. The Brooklyn Museum show, which is part of a concerted effort to showcase more young and emerging artists at the institution, Mack’s will have a particular architectural challenge in working within the museum’s great hall. 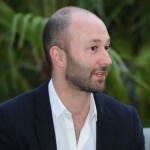 Eric N. Mack (b. 1987, Columbia, MD) refers to himself as a painter, yet his works rarely observe the medium’s traditional canvas-to-stretcher format. Rather, his tactile assemblages, created from a dynamic combination of used textiles, worn clothes, moving blankets and torn rags, alongside photographs and pull outs from books and magazines, extend and transform the notion of painting. His use of colour, form and material as elements in a compositional lexicon as well as the stained or dyed fabrics which are his principal medium, declare the origin of his practice in the investigation of painting in an expanded field, while the way his compositions occupy and transform space are evidence of their sculptural nature. They are both paintings and sculptures – fully engaging with both disciplines. Recomposed with oil and acrylic paint, fabrics are hung using ropes and rods so that each architectural composition expands into the viewer’s space. In this way, Mack interrogates the very nature of painting, opening up a dialogue that explores the performative qualities inherent to his process, and how it both conflicts with and enhances the notion of painting as essentially still. With its use of accumulated, found and sourced materials, Mack’s work grapples with the schism that exists between fashion and art. From a young age, Mack was fascinated by the world of fashion, sometimes working in his father’s discount clothing store. Employing a diverse array of textiles – some aesthetic, some utilitarian, most discarded, their use-value depleted – Mack’s paintings investigate how different materials reflect identity. 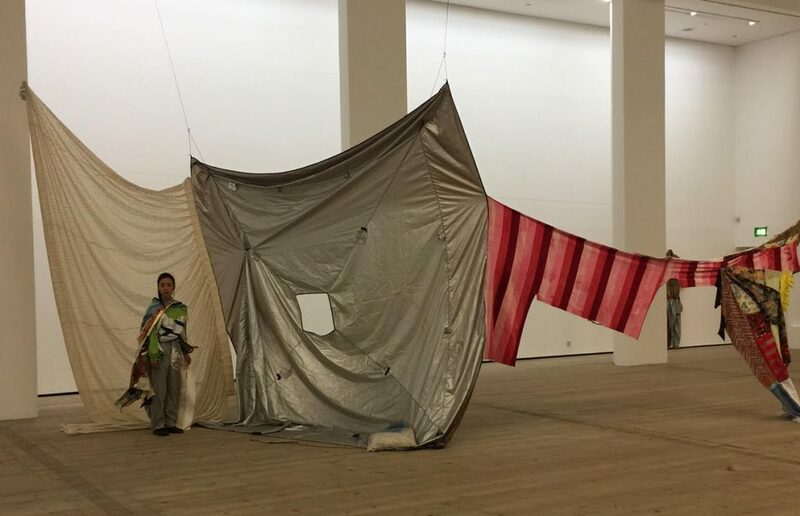 For example, his use of factory-made moving blankets, frequently found in galleries and museums during installation, project the idea of transit, and hint at the nomadic nature of the life of the artist. The variety of sources assembled in Mack’s artworks leads to the creation of a non-hierarchical system, refusing to privilege the readymade over the handcrafted, or one history over another. His paintings blur the line between utility and style, crafting an oeuvre that is absorbed in the duality of deconstruction and reconstruction. 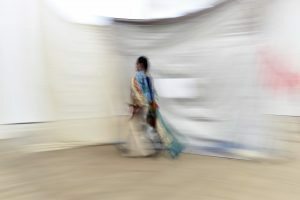 This entry was posted in Art Stuff New York, NEWS and tagged Brooklyn Museum, Eric N Mack. Bookmark the permalink. 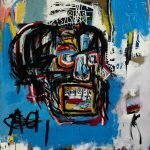 $110.5 million Basquiat gets it’s own Brooklyn Museum Show. 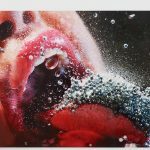 The wonderful Marilyn Minter’s sensual paintings on show @ The Brooklyn museum !